New Inventory Item Model fix! More Procedures, Growable Plants, Tips! Have you ever been struggling on trying to make something? Have you ever open a Forum Topic which is called "how to do _____?" This Mod is for you...! Remember! This Workspace is BETA! Not all features of MCreator are in this workspace and they will be added with updates :D! Hammers - A Custom Hammer which break walls by 3x3x1 or 1x3x3 Depending on player's direction! Growable Plants - A Custom Wheats that has 8 Stage with their procedures that Enable them to Grow! 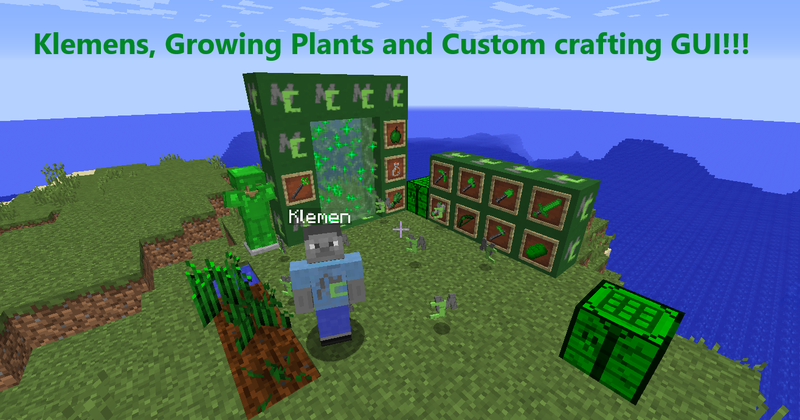 Custom Crafting GUI - Used with new 1.8.3 Template, A Custom Crafting GUI made with procedures and GUI! Stairs and Slabs - Custom Stairs and Slabs models! 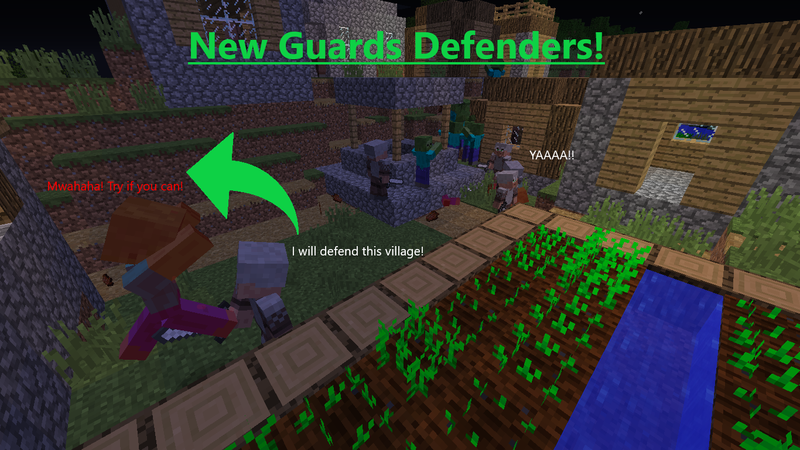 Village Defenders! - Kills basic hostile mobs around, Example: Zombies, Skeletons and more! Flame Thrower - Throw Flames when keep on right click! Teleportion Staff - Look at Somewhere and right click, it will teleport you there! Fixed Slab and Stair 3D Model, now they render properly in inventory! Available in "Useful Resources" in Download on the page! 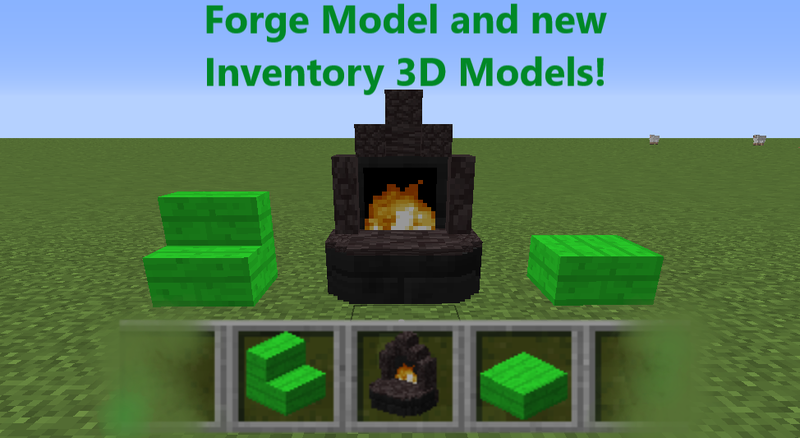 Added the Forge and Forge 3D Model, 3D Model available in "Useful Resources" in Download on the page! Forge has 1 crafting which can be found in his Procedure! If you have any idea of what can be added, Comment it below! Upvotes this Mod! This will help a lot of starters! Thx!! I am literally newbie, just started learning mcreator few week ago. Thank you for your efforts. 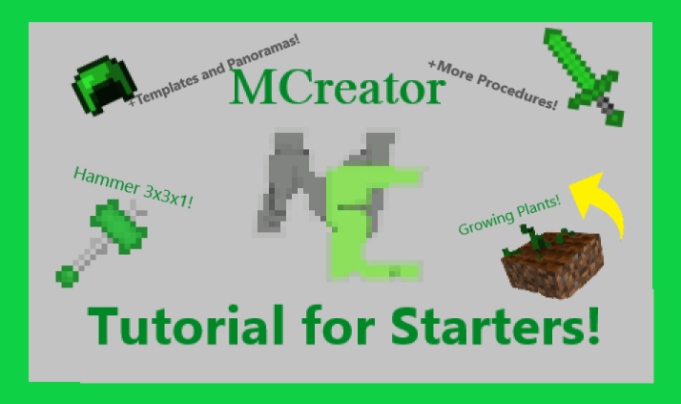 I know nothing about mcreator's procedures. If possible, I would appreciate it if you add in that!!! XD thx again master! Thanks, What type of procedure do you want in? I mean, what you want it do?